Falcon Communications Vehicle – a fully integrated custom tactical communications vehicular system. The system is equipped with RF-5800 FALCON II series HF and VHF radios. Equipped with RF-5800H-V003 RF-FALCON II 400 Watt HF radio system. 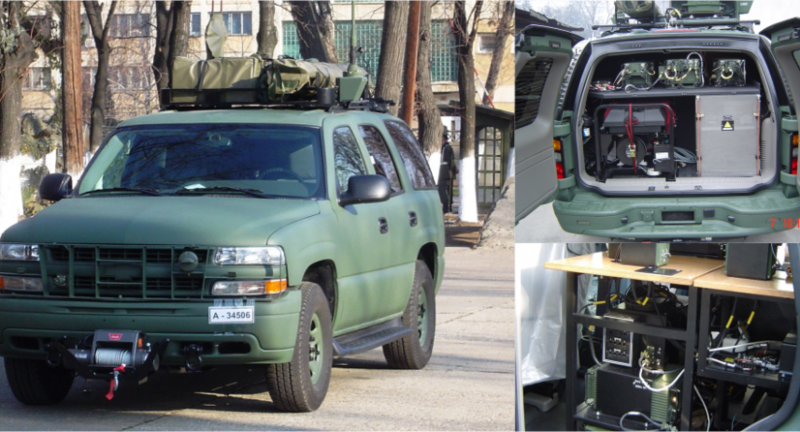 A General Motors (GM) Light Service Support Vehicle (LSSV) four-wheel drive vehicle provides the common mobile platform for the communications system.